Since its foundation in 1999 the Fare network has provided a vocal and independent voice within European football to challenge discrimination and exclusion around Europe, working with professional players, clubs, supporters, grassroots organisations, and others to fight for equality in sport. The gala event was attended by more than 200 people in football including the founding members of Fare, activists, non-governmental organisations (NGOs), professional footballers who have been active in the fight against discrimination in football over the past 20 years, as well as leading experts, media representatives, minority groups and special guests. Peter Odemwingie, Claudia Neumann, Yaya Toure, Khalida Popal, Mbo Mpenza and other pioneering players all attended the celebrations. For 20 years Fare has been active in football, but with a remit that extends far beyond it. With a focus on fighting for social inclusion and tackling issues like racism, homophobia and LGBT-phobia and sexism, Fare has spent two decades advocating for inclusion in society, equal rights, social change, better governance and social development. 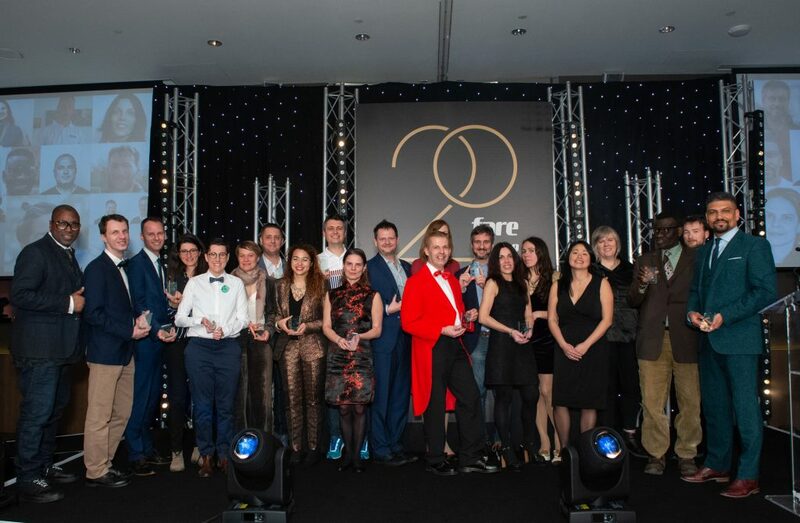 To mark the occasion, Fare also celebrated 20 members who represent the network around Europe. Fare’s executive director Piara Powar began the gala event with an opening address highlighting the progress and challenges ahead for European football. “The racism we saw in England versus Montenegro last week is exactly why Fare came into being,” said Powar, using the racist abuse directed at England’s black players during Montenegro’s Euro 2020 qualifying game with England in March as an example of testing times. 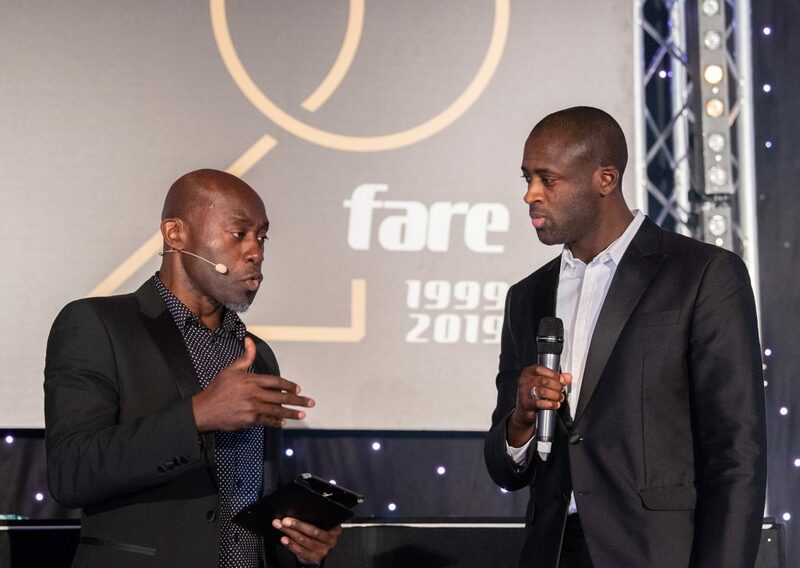 Leading pioneer players, coaches and others who have been active in the fight against discrimination over the past two decades were also honoured, with Yaya Toure, one of African football’s most decorated players, receiving a special honour for his commitment as an ambassador over many years. 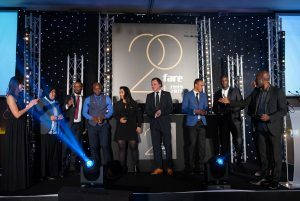 The Gala dinner at Wembley’s Hilton hotel in London was followed by the Fare General Meeting on Monday April 1 at which a series of workshops and panel discussions took place with representatives from over 40 countries. During this General Meeting a new board of Fare was also elected. 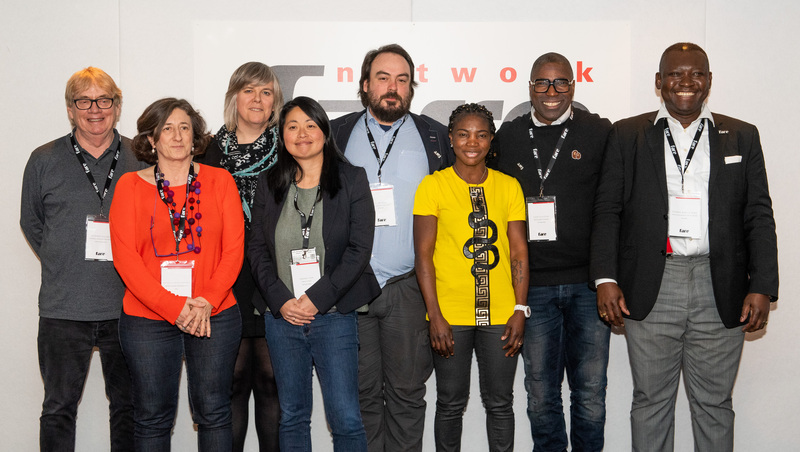 The newly elected board members are Howard Holmes (FURD, UK), Raffaella Chiodo Karpinsky (UISP, Italy), Lou Englefield (Pride Sports, UK), Tamara Tien (Make it Count, the Netherlands), Balint Josa (Foundation of Subjektive Values, Hungary), Ayisat Yusuf-Aromire (Monaliiku, Finland), John Olivieira (Serious about Football, the Netherlands), Thomas Babila Sama (African Association of Central Finland, Finland) and Martin Kainz (VIDC, Austria, not pictured) (image credit: Thomas Lovelock). 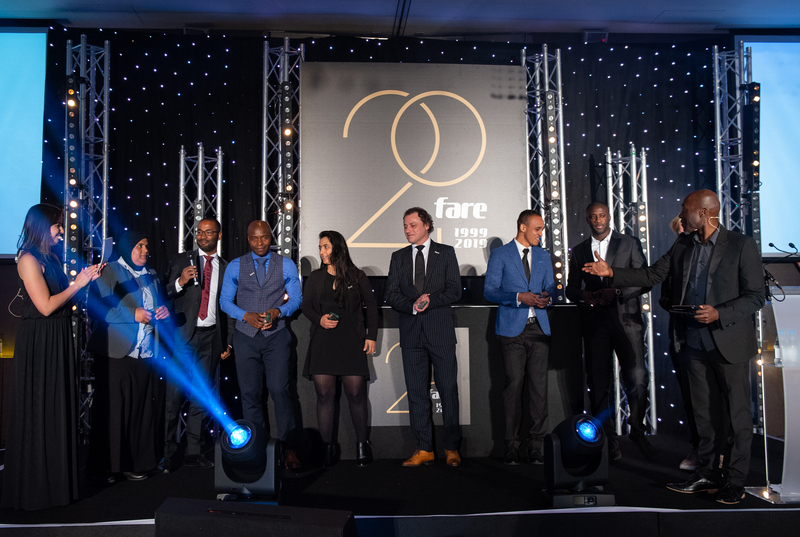 To view or download the Fare 20th anniversary brochure click the following link.